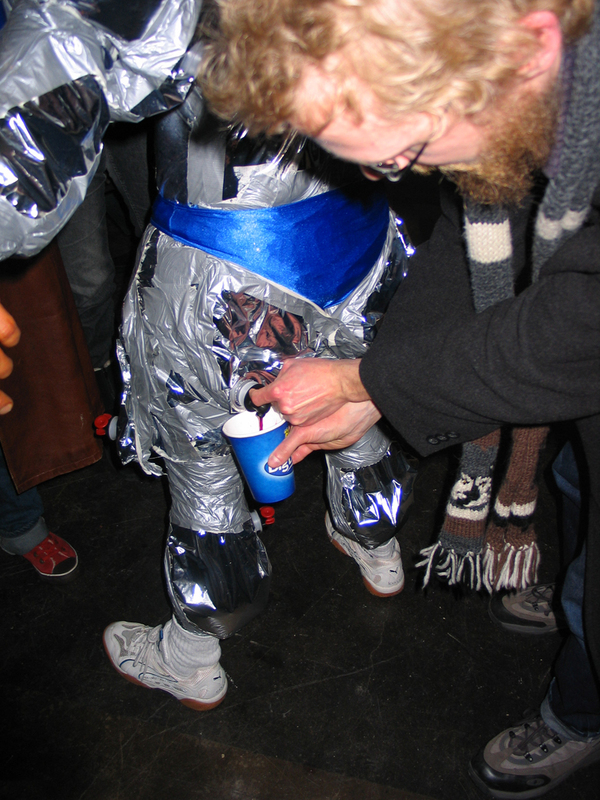 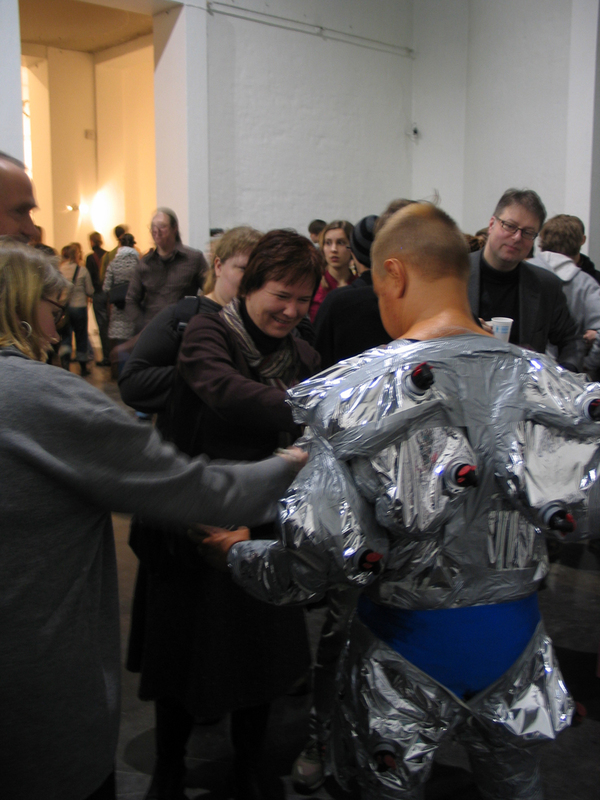 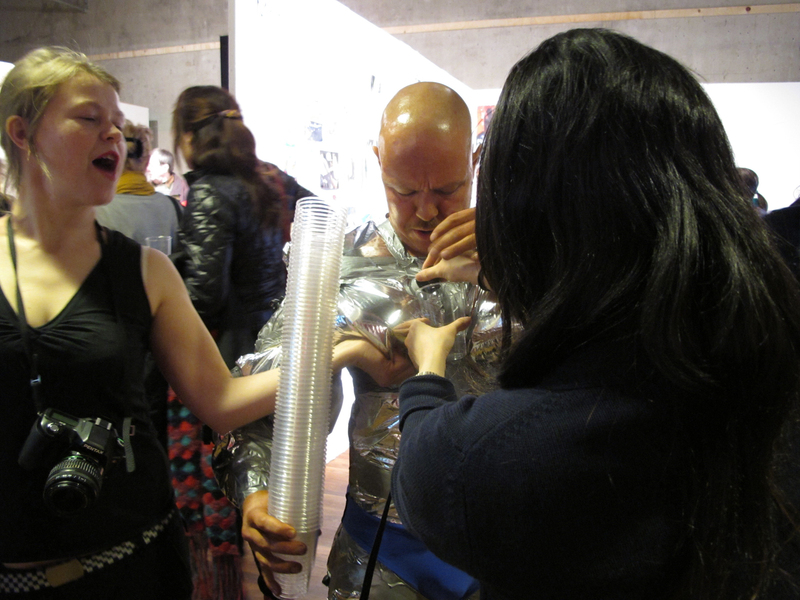 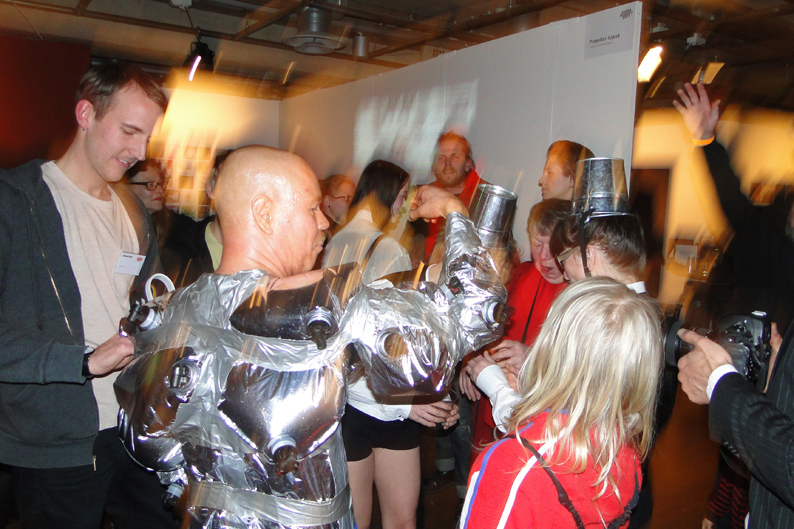 Vernissage Bodybuilder is a combination of performance and beverage – it is a vernissage ritual. 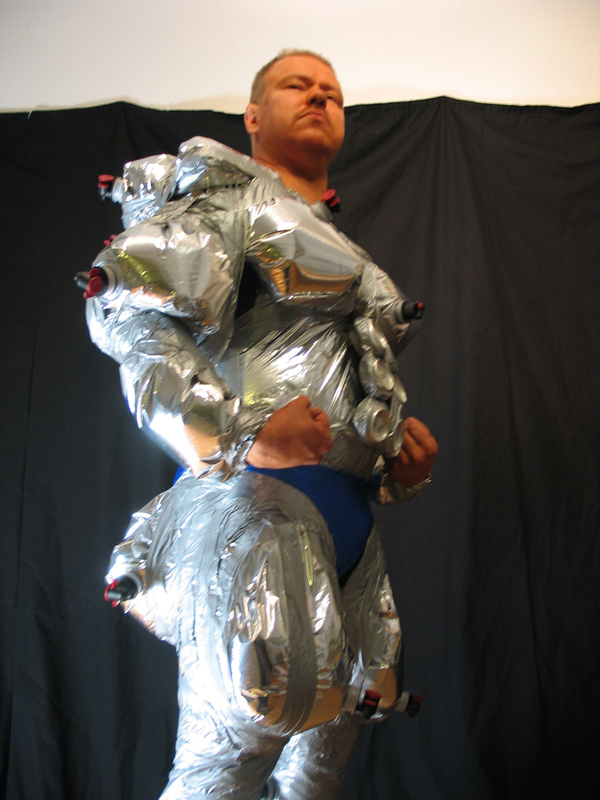 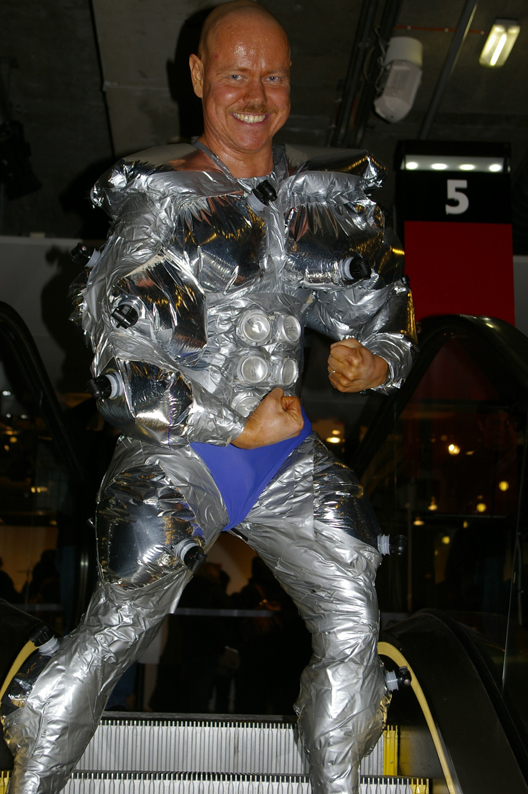 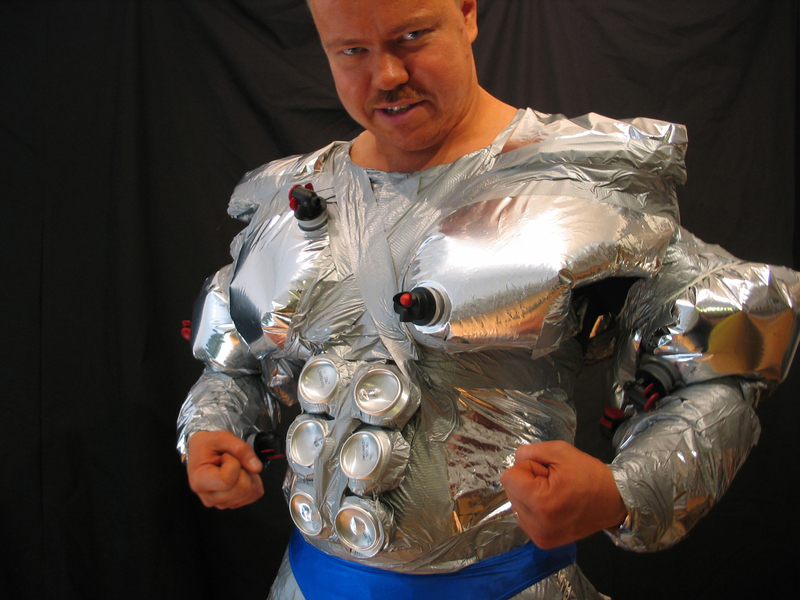 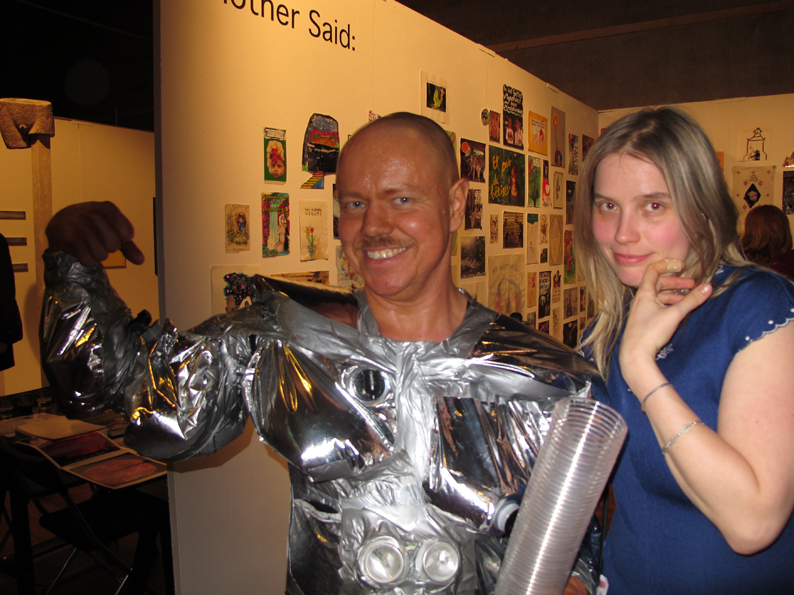 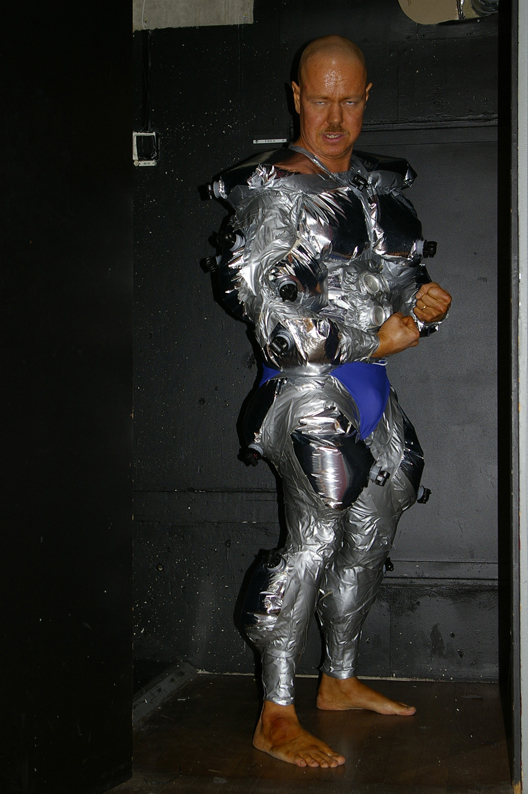 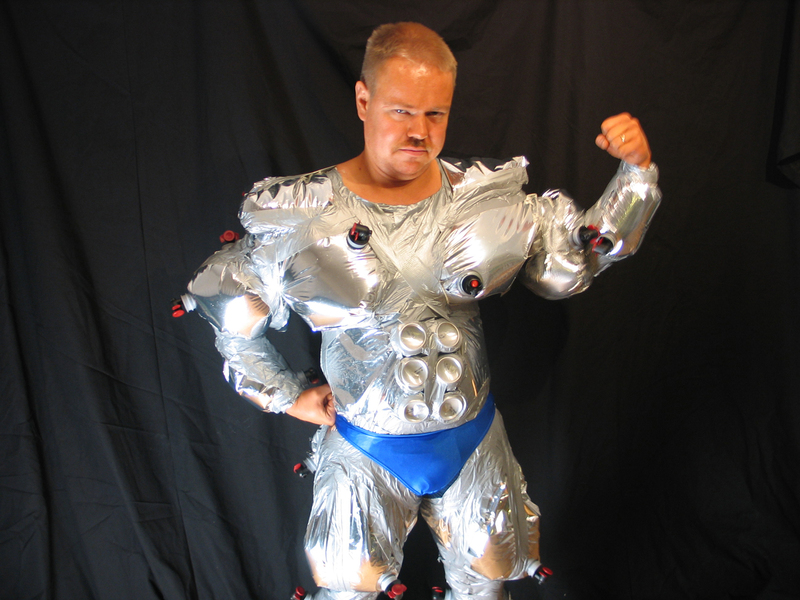 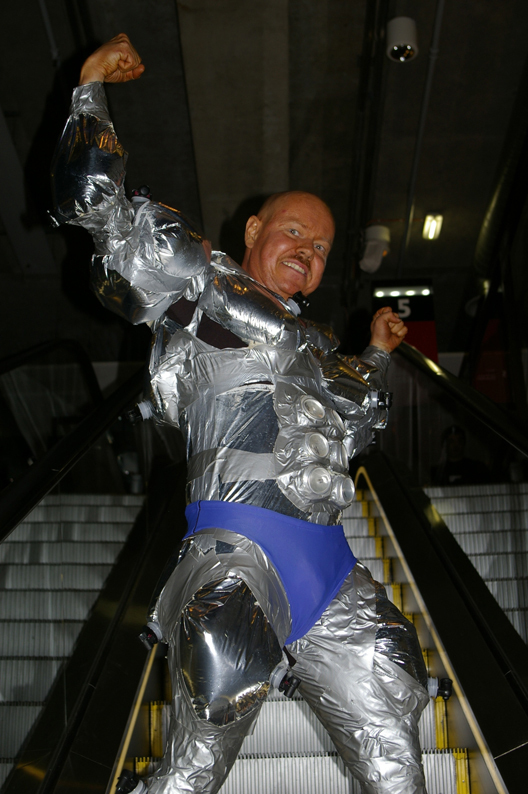 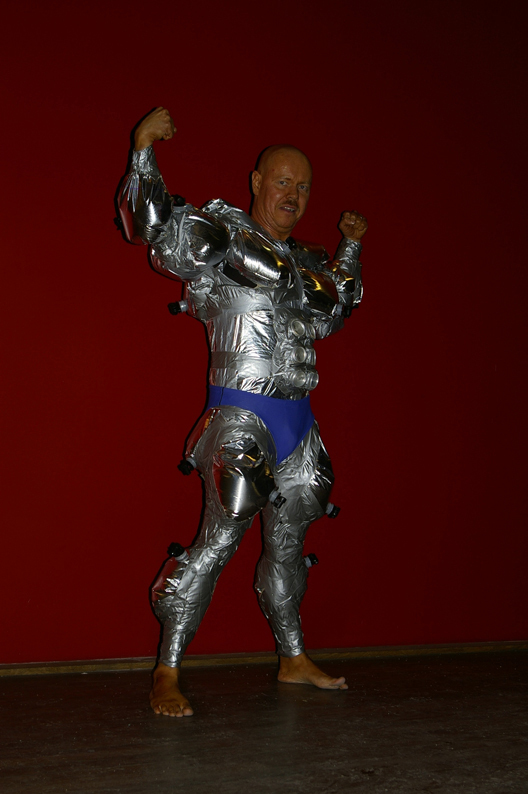 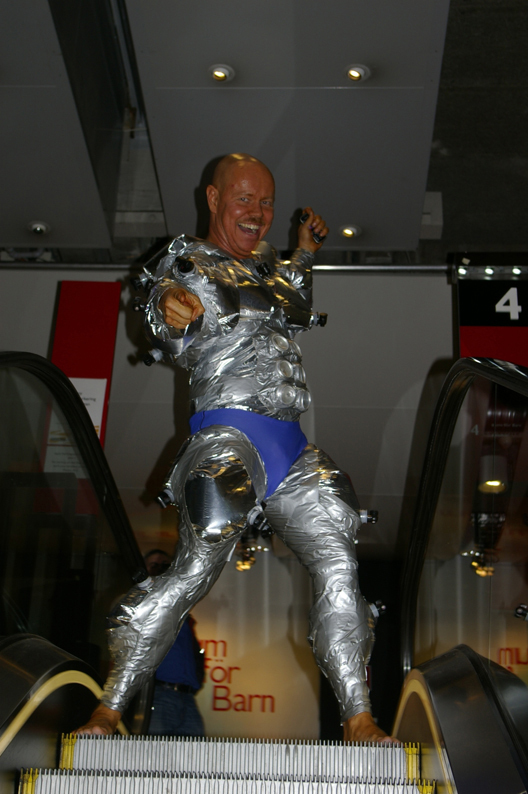 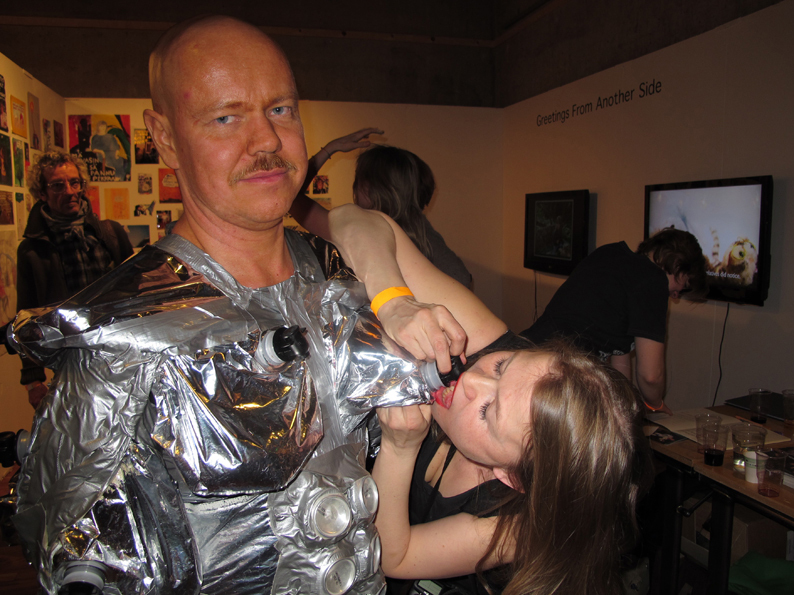 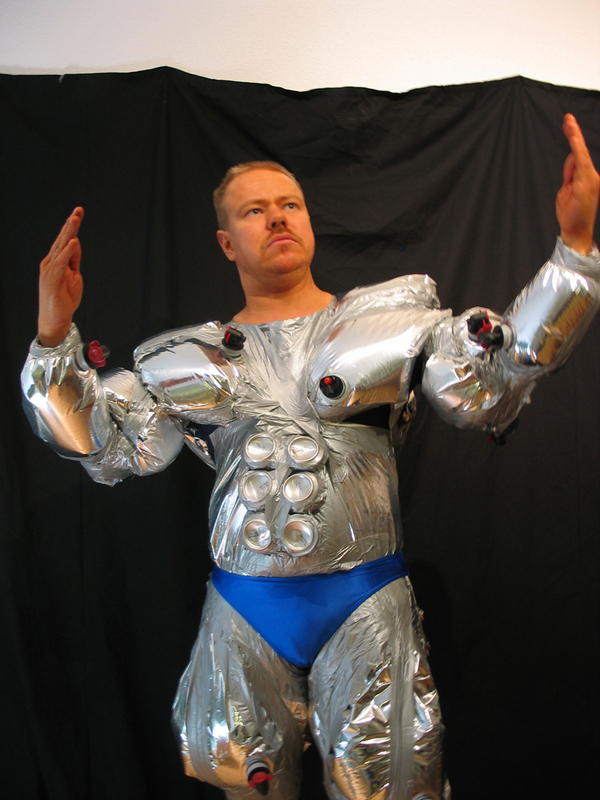 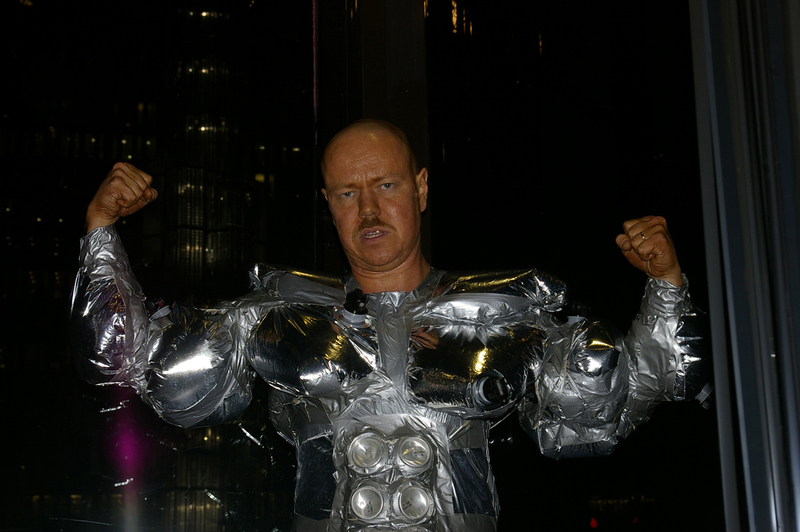 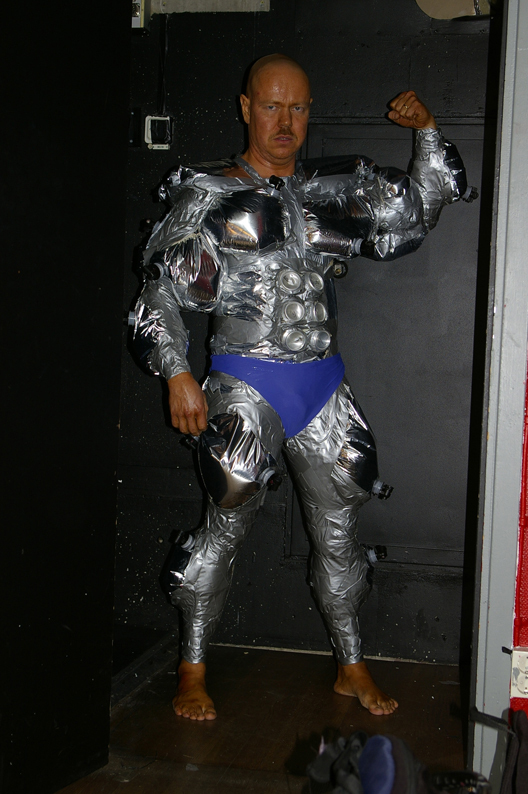 The artist is wearing impressive bodybuilder muscles, all constructed of shining silvery bag-in-box wine bags. 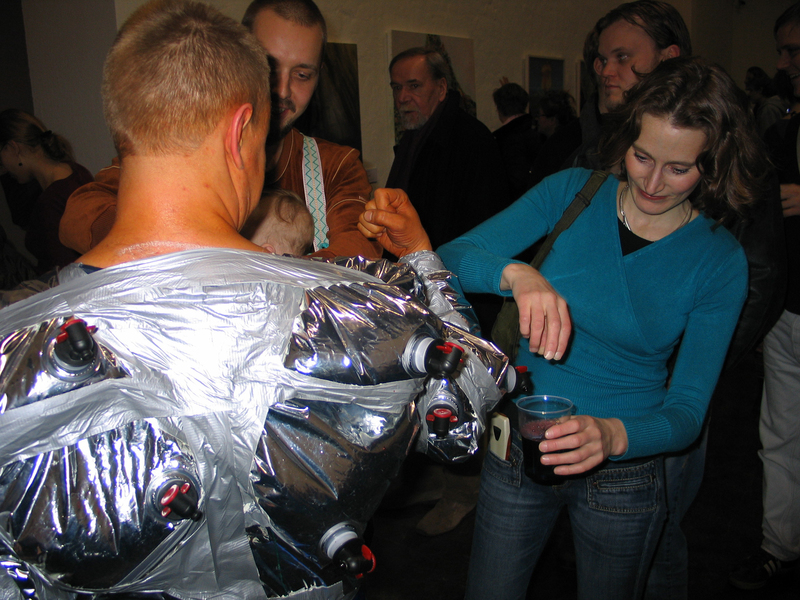 Red wine from the muscles is available for the guests. 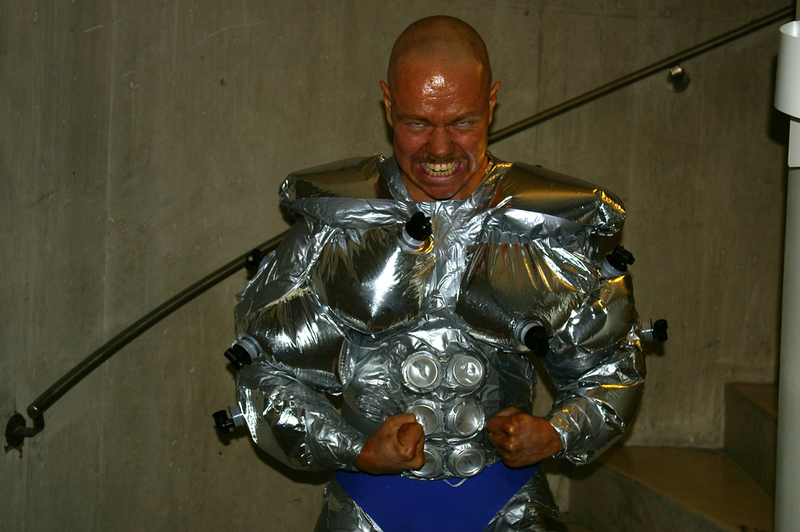 The Vernissage Bodybuilder is an absurd and carnivalistic Bacchus character paralleling a religious martyr and an idolized athlete as well as blood, wine, doping, and the Communion. 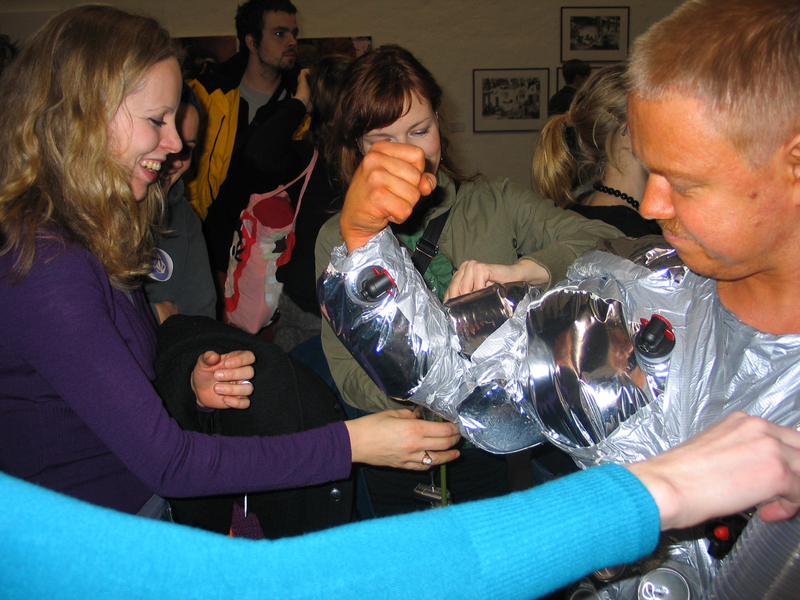 The hero presents his body and blood to his worshippers, the wine-craving audience. 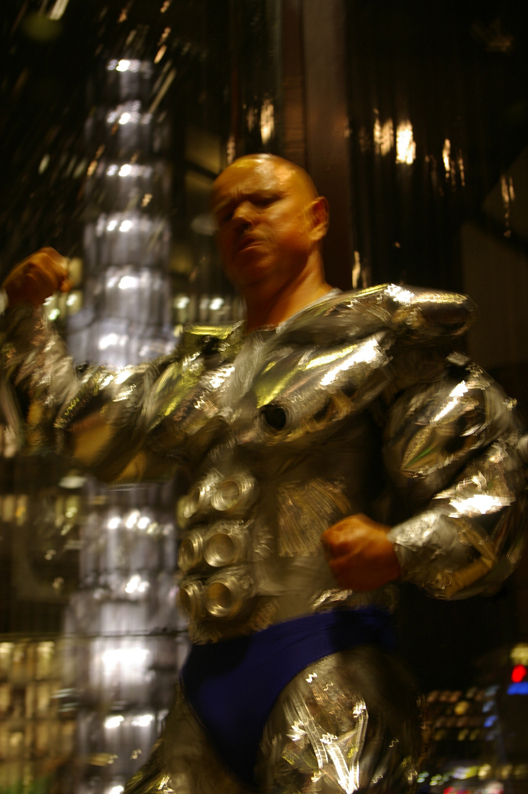 The glory, however, is transient, and as the wine keeps flowing, the bodybuilder’s muscles eventually fall flat. 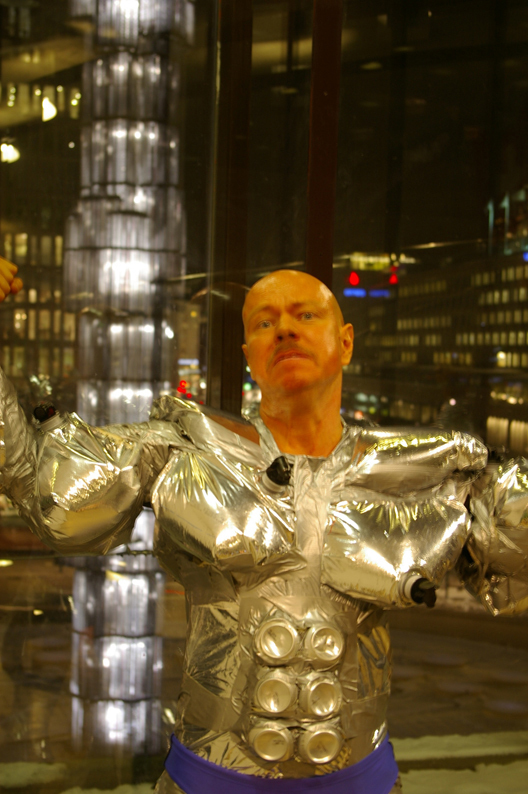 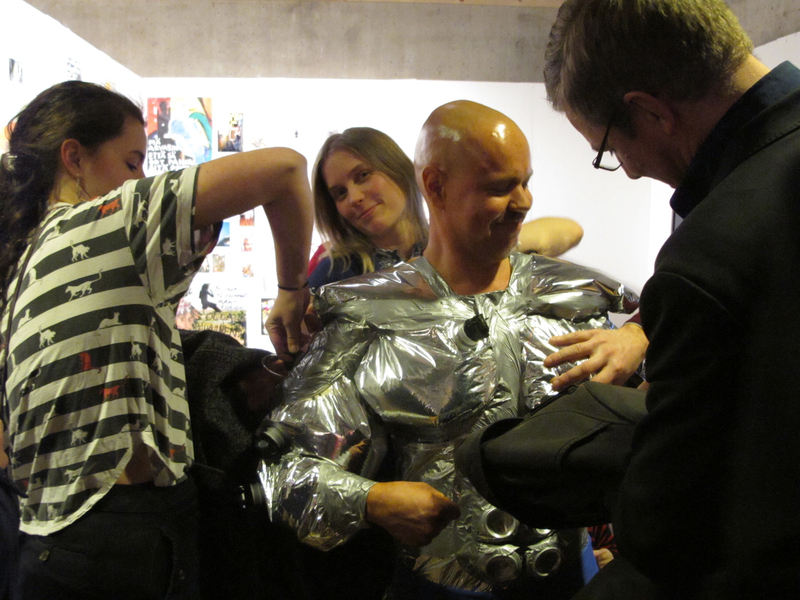 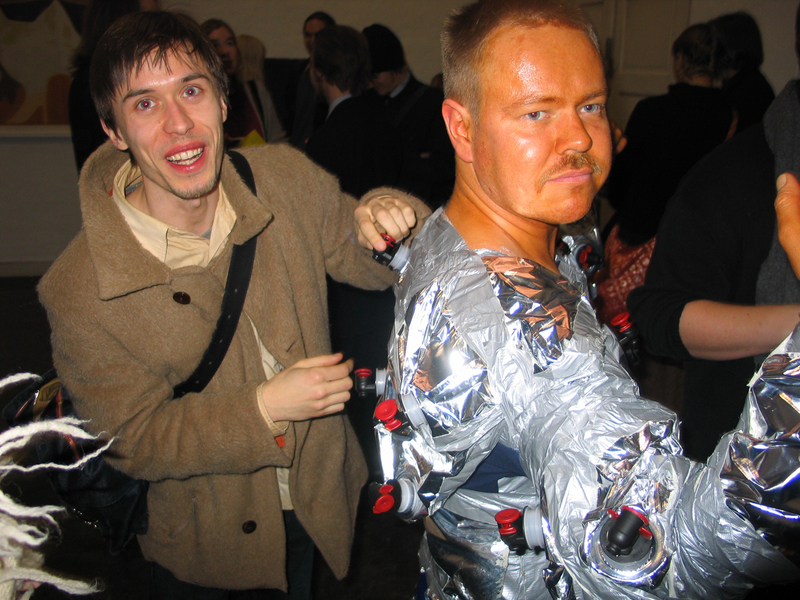 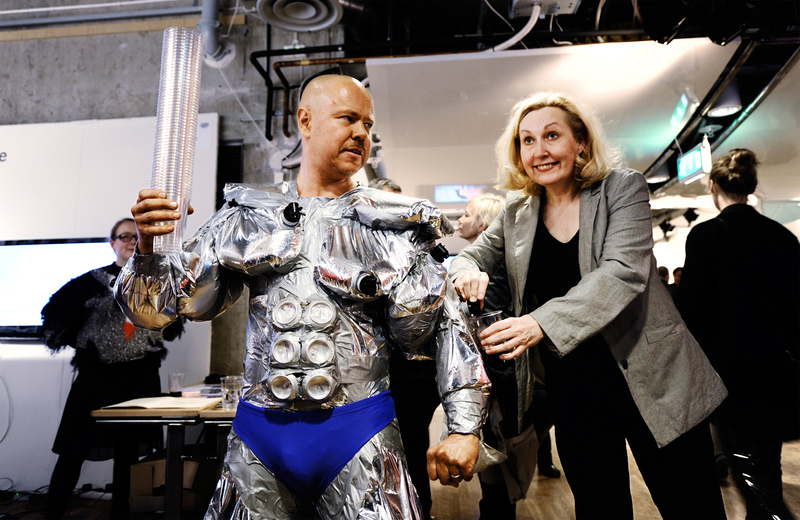 Below is a mixture of images of Vernissage Bodybuilder, pre-poses and documentation of the performance: from the premiere as an uninvited guest at the opening of Nuorten Näyttely at Helsinki Kunsthalle 2006 and at Supermarket Artfair, Stockholm 2011 (baldheaded).